At the beginning of Pudd'nhead Wilson a young slave woman, fearing for her infant's son's life, exchanges her light-skinned child with her master's. 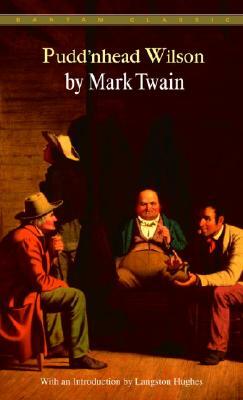 From this rather simple premise Mark Twain fashioned one of his most entertaining, funny, yet biting novels. On its surface, Pudd'nhead Wilson possesses all the elements of an engrossing nineteenth-century mystery: reversed identities, a horrible crime, an eccentric detective, a suspenseful courtroom drama, and a surprising, unusual solution. Yet it is not a mystery novel. Seething with the undercurrents of antebellum southern culture, the book is a savage indictment in which the real criminal is society, and racial prejudice and slavery are the crimes. Written in 1894, Pudd'nhead Wilson glistens with characteristic Twain humor, with suspense, and with pointed irony: a gem among the author's later works. Mark Twain was born Samuel Langhorne Clemens in 1835. He gained national attention as a humorist in 1865 with the publication of "The Celebrated Jumping Frog of Calaveras County," but was acknowledged as a great writer by the literary establishment with The Adventures Of Huckleberry Finn (1885). In 1880, Twain began promoting and financing the ill-fated Paige typesetter, an invention designed to make the printing process fully automatic. At the height of his naively optimistic involvement in the technological "wonder" that nearly drove him to bankruptcy, he published his satire, A Connecticut Yankee in King Arthur's Court (1889). Plagued by personal tragedy and financial failure, Mark Twain spent the last years of his life in gloom and exasperation, writing fables about "the damned human race."